*Trans. © 1989 The United Methodist Publishing House (Administered by *www.musicservices.org) All rights reserved. Used by permission. History of Hymns articles usually provide backgrounds on specific hymns. While this will be the case now, this entry will also honor one who has made significant contributions to United Methodists specifically and church music in general. Because many of the readers may not be Spanish speakers, they may not be aware of the role that Raquel Martinez has made in church music for more than five decades. Raquel Mora Martínez (b. 1940), Methodist composer, teacher, church musician, and hymnal editor, celebrates seventy years in music ministry in 2018. Born in Allende, Coahuila, Mexico, she began playing the piano in her congregation at the age of seven. Her father, Josué Mora, was a Methodist minister; and her mother, Amada Mora, a homemaker, devoted all her time to church service. Endowed with a beautiful voice, “Amadita,” as she was called, became the choir soloist and would sing for all special occasions. Raquel received her education from the Lydia Patterson Institute (1957-1960, El Paso, Texas), University of Texas, El Paso (BA 1975), and Perkins School of Theology, Southern Methodist University, in Dallas, Texas (MSM 1989). She was also certified as associate in music by the General Board of Discipleship, Perkins School of Theology (1987). An active church musician, she has served in a variety of capacities in Texas Methodist congregations, including organist at El Buen Pastor United Methodist Church (UMC), San Antonio (1966-1970), and Emanuel UMC, El Paso (1970-1974), and music director for El Divino Redentor UMC, El Paso (1970-1975), El Divino Salvador UMC, San Antonio (1983-1985), and Emanu-EL UMC, Dallas (1987-1990). 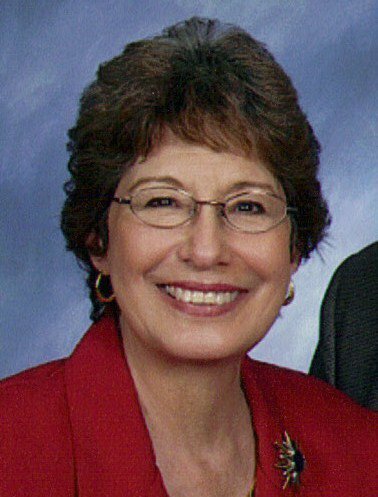 Raquel has also served the broader United Methodist Church as administrative assistant, Women’s Division, General Board of Global Ministries, New York (1975-1981) and executive secretary, Rio Grande Conference Pensions Crusade, San Antonio (1987-1990). A popular clinician at all levels of Methodist gatherings (districts, annual conferences, jurisdictional quadrennial meetings), she was the music leader and director for the World Federation of Methodist Women, Antigua, West Indies (1987). She has held visiting professorships in Hispanic American Hymnody at the Evangelical Seminary, San Juan, Puerto Rico (1995), Perkins School of Theology (1995), and Baez Camargo Methodist Seminary, Mexico City (1998), as well as serving as workshop leader at the Lutheran School of Theology, Chicago, for the introduction of Libro de Liturgia y Cántico (Minneapolis, 1998), the Spanish-language hymnal for the Evangelical Lutheran Church of America. Though Martínez has made important contributions as a composer and arranger to numerous hymnals for more than thirty years, it was her role as editor of the official United Methodist Spanish-language hymnal, Mil Voces Para Celebrar (Nashville, 1996), that is the most significant. In addition to drawing upon translations of classical Anglo-European hymns, this hymnal included coritos (shorter choruses) and a wealth of newer songs from Central and South America, resulting in the most diverse Spanish-language hymnal of its time. She was among the first to draw upon the six editions of Cancionero Abierto (Open Songbook) [Buenos Aires, 1974-1994], edited by Methodist pastor and composer Pablo Sosa (b. 1933). This inexpensive and accessible compilation promoted fresh indigenous Spanish-language congregational songs and made them available to wider audiences. 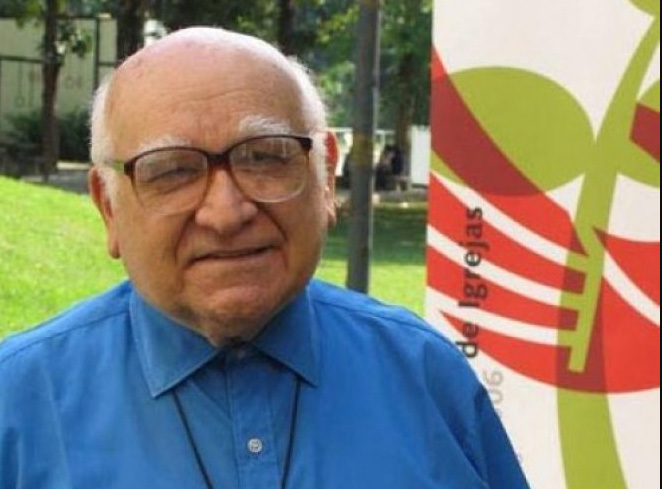 Among the selections that appeared in Mil Voces Para Celebrar from Sosa’s Cancionero Abierto were hymns and translations by the prophetic Argentine Methodist Bishop Federico José Pagura (1923-2016). Mil Voces Para Celebrar was the first denominational hymnal in North America to choose one of Pagura’s earliest hymns in the musical style of the Argentine tango, “Porque El entró en el mundo en la historia” (“Tenemos esperanza”/“We have hope”) . Pagura’s translations were equally powerful, including “Fruto del amor divino” (“Of the Father’s love begotten”) and Charles Wesley’s “O for a thousand tongues,” the first hymn in Methodist hymnals since it was chosen for this place by John Wesley in A Collection of Hymns for the Use of the People Called Methodists (1780). Wesley’s hymn in Pagura’s translation “Mil voces para celebrar” was chosen as the first hymn as well as the title of the hymnal. Echoes of Liberation Theology were dominant in Pagura’s translation, as the “great Redeemer” in stanza 1 becomes the “Liberador” or liberator. The seven Spanish stanzas in The United Methodist Hymnal parallel the seven stanzas in English (United Methodist Hymnal, 57). Pagura’s stanzas 1, 3, and 5 appeared earlier in Cantico Nuevo (1962), an Argentine hymnal edited by Pablo Sosa. Stanzas 2, 4, 6, and 7 were commissioned for The United Methodist Hymnal (1989) and then appeared again in Mil Voces Para Celebrar (1996). These seven stanzas were chosen from the original eighteen stanzas written by Charles Wesley in 1739, seventeen of which are included as number 58 in The United Methodist Hymnal. For further background on Wesley’s original hymn, see https://www.umcdiscipleship.org/resources/history-of-hymns-o-for-a-thousand-tongues-to-sing. Pagura’s hymns on justice and recognizing the needs of the poor and marginalized, along with those of other composers included in Cancionero Abierto, were important in offering songs for the hymnal as it fulfilled the Social Principles of The United Methodist Church. Furthermore, the inclusion of hymns from Cancionero Abierto in Mil Voces Para Celebrar has had a significant effect on future North American Spanish language hymnals including, most recently, the Catholic hymnal Oramos Cantando/We Pray in Song (Chicago, 2013) and ecumenical hymnal Praise y Adoración (Grand Rapids, 2016), both completely bilingual (Spanish/English) collections. While she has written and translated texts, Martínez is known primarily as a composer and arranger of hymn tunes. Hymnary.org lists 33 tunes that she has either composed or arranged, the most commonly used arrangement being the tune ROSAS by the Mexican American hymn writer Carlos Rosas (b. 1939) for his popular hymn “Cantemos al Señor” (“Let’s sing unto the Lord”). See https://www.umcdiscipleship.org/resources/history-of-hymns-cantemos-al-senor. With her husband, United Methodist Bishop Joel Martínez, Raquel prepared Fiesta Cristiana (Nashville, 2003), a compilation of bilingual worship resources. Her honors include being named the distinguished alumni/ae at Perkins School of Theology (1997) and receiving the Soli Deo Gloria award as a distinguished alumna of the Master of Sacred Music program at Perkins School of Theology (2010). Nebraska Wesleyan University (Lincoln, Nebraska) bestowed upon her the designation of Honorary Doctor of Music in 1997.